2014 will see me accrue many air and land miles, but sometimes things are closer to home. The year offers me the potential for many new and exciting outcomes; one being ‘where do I want to be’ at the end of it. Of course this could include geographical location; somewhere that I come across and feel it a place to settle down for a period. But I am hoping that it will also enlighten me as to ‘where I want to be’ as a person. A chance to re-evaluate life. I’m not one to get all heavy about this…if Kismet were a religion I’d probably have a look at it. But maybe there is scope to change ‘que sera, sera’. Which finally brings me to the reason for today’s blog-a-thon. Knowing what to do requires speaking to the right people. For the past two weekends I have travelled to London having obtained press passes to two large travel shows. The first, The Times Destinations Show at Earls Court provided me with the opportunity to sit through presentations by Tom Hall, Editor of Lonely Planets website talking on writing; and Steve Davey and Paul Goldstein, professional travel photographers who have many years experience in travelling the world. Paul was kind enough to cast his eye over some of my humble offerings. The second sejour took me to the Telegraph Outdoor Adventure and Travel Show at ExCel. 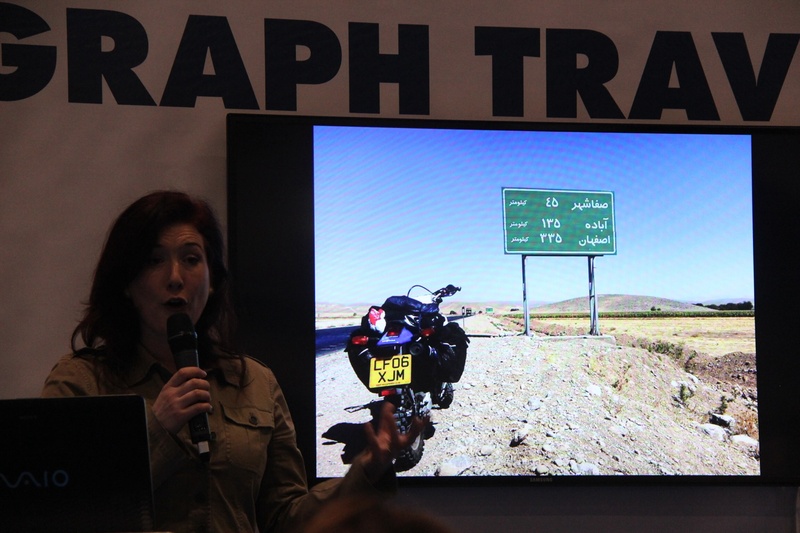 A variety of speakers included Lois Pryce who had ridden her motorcycle alone through Iran where she was greeted with delight by everyone other than the border guards! Another speaker, Daniel Raven-Ellison had taken his son during school holidays and weekends on 125 adventures in the UK over six months; something for every parent to consider. What both shows had were photographic awards ceremonies which, should I have been under any illusions as to the quality of image photo editors are looking for, made me aware of the need to up my game. There was, at the end of two frantic weekends, time to crash at my favourite bench in London Town; that which sits directly in front of Constable’s ‘The Haywain’ in the National Gallery. Finally I am indebted to a fellow blogger, Gisela of LifeIsAFestival who saved me when flagging during miles of walking round the shows and shared her experiences of life in the slow lane. I can’t wait!